Although it’s big news today, the Zika virus, which is spread by mosquitoes, was almost unheard of until early in 2015, when a serious outbreak spread through the South American country of Brazil. 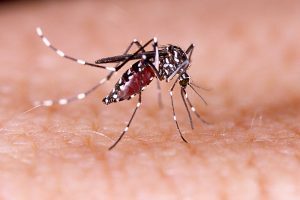 Public health authorities in the United States, including those at the Centers for Disease Control (CDC), have warned that Zika will almost certainly spread to the United States, since the two species of mosquitoes known to carry the virus, Aedes aegypti and Aedes albopictus, are both found in certain parts of the US. As of May 18, 2016, the CDC reported a total of 544 cases of Zika in the United States, although all of these seem to have been acquired by people traveling to Zika-affected areas outside the country. At the present time, there is no vaccine against the virus and no effective medicine. Therefore, the best advice to travelers as well as people in the affected areas is to use insect repellent and to avoid exposure to mosquitoes. 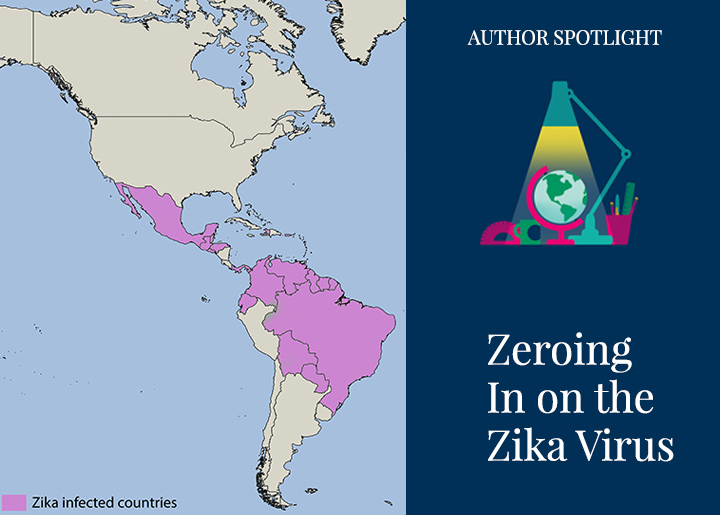 Named for the Zika Forest in Uganda, where it was first discovered in 1947, Zika gained the attention of public health authorities when doctors noticed high rates of a serious birth defect in regions of Brazil where Zika infections were most common. The birth defect was microcephaly, a condition where babies are born with a head much smaller than normal. Microcephaly is a serious condition in which brain development is impaired, and it can result in lifelong intellectual disability. As a result, the Zika virus is a special concern for pregnant women. One of the troubling aspects of the Zika epidemic has been how little is known about the virus, but that is changing quickly. For example, although microcephaly seemed to be associated with the virus, it has not been clear that Zika itself was actually the cause of the conditions. Some have suggested that toxins from the environment, such as the insecticides used to control mosquitoes, might be the real culprits. New research, however, has put the blame squarely on the virus itself. In May of 2016 three groups of researchers, one from Brazil, one from China, and one from Washington University of St. Louis in the US, reported on experiments with Zika-infected mice. In each case, when pregnant mice were infected with Zika, the virus caused defects in fetal brain development very similar to microcephaly. Similar experiments on human fetuses would be unethical, of course, but another Brazilian research team used a novel approach to address the same question. 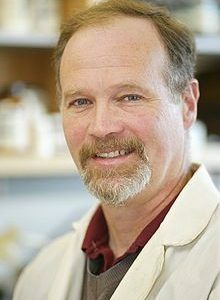 They grew human stem cells, primed to develop into neural tissue in culture, and infected them with the virus. Clusters of Zika-infected human nerve cells grew more slowly than uninfected cells, and showed much higher rates of cell death. This study suggests that Zika produces microcephaly by slowing down the rate at which the brain develops. Yet another study has now pinpointed the proteins on the surface of nerve cells to which the virus attaches to begin an infection. None of these studies point to an immediate solution to the epidemic, but they do show how quickly the research community has swung into action to figure out how the virus works. While the best short term fix for Zika is to follow the CDC’s recommendations for avoiding mosquito bites, the ultimate goal of researchers is to develop an effective vaccine to prevent the disease in the first place. The Zika virus belongs to the same family of viruses associated with yellow fever and dengue fever. It has a protein surface coating and contains a single RNA strand with the viral genome. It enters the cells by binding to receptors on the cell surface, and then releases its RNA strand into the cytoplasm. Once there, the viral RNA codes for a number of proteins that help the virus replicate and produce more copies of its surface proteins. These copies can then exit the cell and infect other cells.